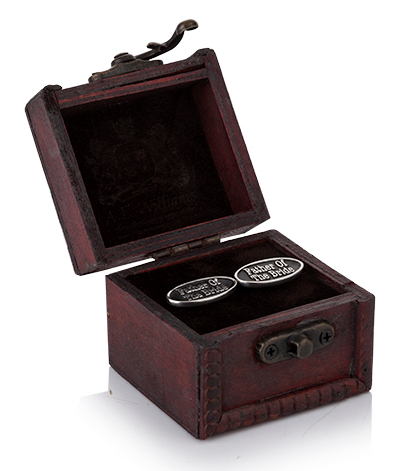 Father of the Bride Pewter Cufflinks are the perfect clothing accessory for a Wedding. They come complete in a beautiful wooden trunk for safe keeping. An Ideal wedding gift to make that day even more personal and special.